The queens unite! 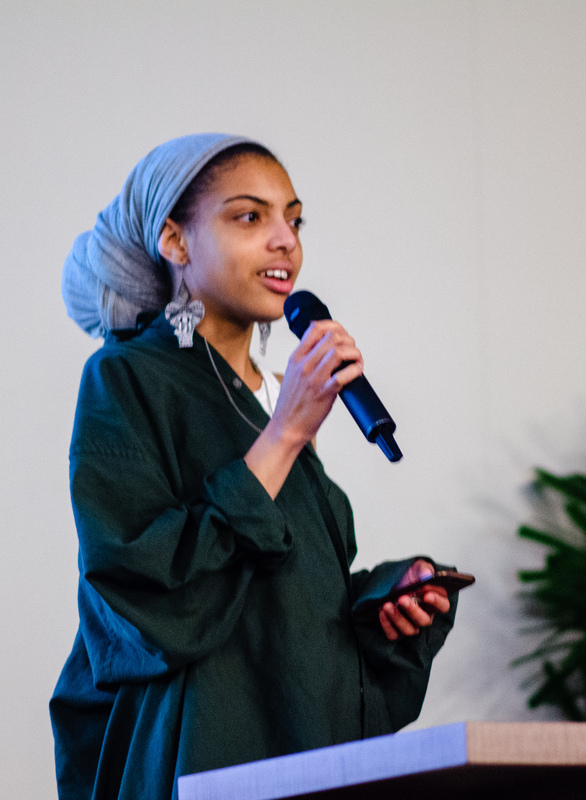 The student-led group, Talk 2 Me Sis, which promotes and fosters community building among Black students, hosted a special event on March 27th called “Queens of Poetry,” which was a poetry event to pay homage to female poets of color. Coordinated by students Jaclyn Okwumabua and Tianna Townsend, this is the 2nd annual Queens of Poetry event and it was set to close out International Women’s Month with support from 30 current and former Toro students . The Queens of Poetry Event was held on the 3rd floor in Ballroom C in the Loker Student Union, where students were able to express their feelings through the art of poetry while paying homage to significant female figures in the Black community. “This is a very important event to make sure that Black women are appreciated on campus for their artistic work,” said sophomore Zamyris Howard, a criminal justice major, 20. The mission of Talk To Me Sis is to ignite sisterhood, and promote cultural identity development among those who identify as Black girls and women. The program offers discussion sessions, culturally relevant events, mentoring and networking opportunities in order to empower Black women to assume leadership positions, increase the recognition of Black women’s issues and create a courageous space for Black women to heal and connect with one another. “The poetry event that is being presented is with the intentions that students acknowledge their peer’s talent and learn the prominent roles women played in history,” said Jaclyn Okwumabua, one of the coordinators of the event, communications major, 23, one of the coordinators of the event. The event included a prelude of quotes from human rights activists Angela Davis and Audre Lorde, followed by poetry excerpts read by fellow students and open mic opportunities. It also gave insight and knowledge to students that did not have any familiarity to some of the pieces that were performed. For students interested in the organization Talk 2 Me Sis, they can go to the Rose Black Resource Center, located on the first floor of the Loker Student Union, Room 132 and speak with Townsend or Okwumabua for further details.